Shipping volumes on the Russian Arctic route could reach 65 million tons by year 2020, Nikolay Patrushev says. That is very unrealistic, a Norwegian expert disputes. The Russian Security Council Secretary appears firm in his belief in Northern Sea Route shipping. According to Patrushev, shipping volumes along the route could increase many-fold to as much as 65 million tons already by year 2020. The Russian national security boss spoke on board the icebreaker «50 Let Pobedy» as the powerful vessel was making its way along his country’s easternmost Arctic coast, from Anadyr to Pevek. Patrushev had invited a host of Russian and foreign guests to the voyage, among them representatives of several Arctic Council members. 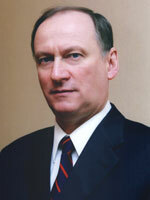 The growing exploitation of Arctic natural resources along with more exports from the Ural and Western Siberia through Arctic sea ports is what is driving the development, Patrushev says in an interview published at the Security Council website. With regard to transit shipments, several foreign partners, and first of all from China, are showing notable interest, the Council Secretary underlines. The speech comes as Russia is investing heavily in Arctic infrastructure. Among the objects under development is the Sabetta port in Yamal and a number of new and upgraded military bases. At the same time, Northern Sea Route transit shipments are historically low. In 2015, only 40,000 tons of cargo was shipped across the route. Arild Moe from the Fridtjof Nansen Institute, a Norwegian research organization, argues that Patrushev’s ambitions are unrealistic. The 65 million ton target was included in the State program for development of the transport system from 2014, Moe says to the Barents Observer. «It was unrealistic then to achieve this level within this time frame, and it is even more unrealistic now», he underlines. «Nevertheless, we will see a drastic increase in shipments on NSR by 2020 caused by the implementation of two major projects – Yamal LNG producing 16.5 million tons per year and the Novy Port oil project up to 8.5 mill. tons, all to be transported on NSR», the Norwegian researcher adds. 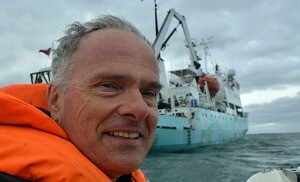 Arild Moe has recently published a study of the Russian icebreakers on NSR in the journal Geographical Review. In that study, Moe and Lawson Brigham from University of Alaska Fairbanks, argue that the organization of icebreaking on the Northern Sea Route is not well adapted to developments in international shipping characterized by increased reliance on autonomous navigation in Arctic waters. «The study also shows conflicting internal Russian interests in how the sea route should be managed, as well as financial and technical hurdles in the program for development of new icebreakers», Moe say to the Barents Observer.